Are You Driving a Lemon? Get Your Money Back! Find out if you have a case from the comfort of your house and absolutely Free, simply complete this quick form. We will review your information and reply to you with an assessment of your case. If your vehicle is under warranty and a reasonable number of attempts to repair it have been unsuccessful, the manufacturer may be responsible for replacing the vehicle or refunding your money under California’s Song-Beverly Consumer Warranty Act and/or the federal Magnuson-Moss Warranty Act, also known as the Lemon Law. Is the vehicle, boat, RV, travel trailer, or motorcycle you purchased or leased a lemon? Does it continue to break down, even after repeated attempts to have it fixed? Complete an online quick form and Caronna, Johnson & Zamora, LLP, will provide you with a free consultation and case evaluation. 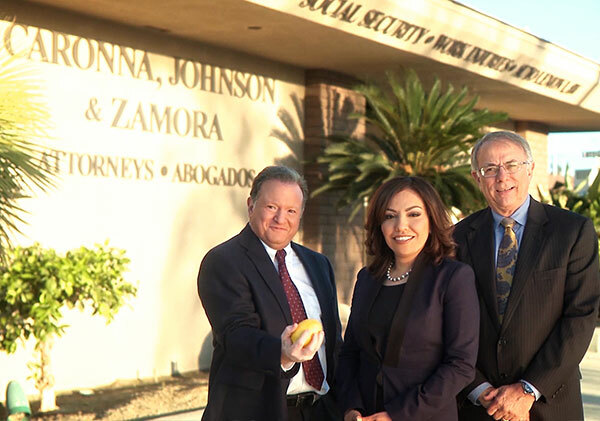 Lemon Law Attorneys Caronna, Johnson & Zamora, LLP. Under the lemon law, in most cases, your vehicle must be replaced, or you must be refunded your purchase or lease price, including sales tax, license fees, registration fees, finance charges, in addition to repair, towing, and rental car costs. The lemon law requires the auto manufacturer to pay reasonable attorney’s fees and costs. So it costs you little or in some cases nothing to be represented by an experienced lemon law attorney who can help you get results as quickly and efficiently as possible. At Caronna, Johnson & Zamora, LLP, we know the law and we know the auto business. Our Partner overseeing our lemon law and automotive consumer fraud practice spent 15 years managing auto dealerships before turning to the practice of law. We know that design errors and manufacturing defects can turn even the most reliable vehicle into a lemon. And we know how to get results for you from auto, boat, RV, travel trailer, and motorcycle manufacturers. A powerful consumer protection act, the lemon law applies to owners of cars, trucks, SUVs, motorcycles, boats, recreational vehicles (RVs) and any other new or used motor vehicle that is protected by the manufacturer’s new vehicle limited warranty. You also have rights under the lemon law if you purchased a certified pre-owned (CPO) vehicle.